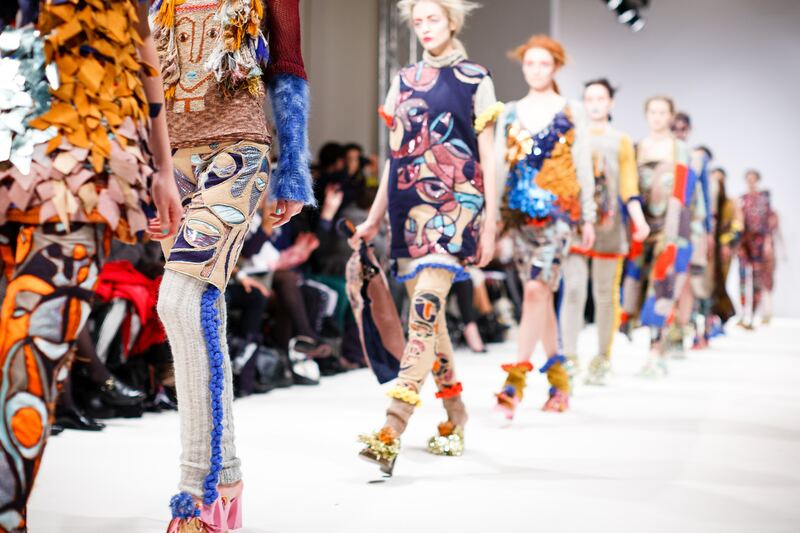 Hannibal Laguna, Agatha Ruiz de la Prada, Roberto Torreta… these are just a few of the Spanish fashion designers who showed off their creations to the world during Madrid fashion week. But, they weren’t the only ones doing some product promotion during this event. Over the years, the Mercedes-Benz Madrid Fashion Week has become the ideal space for brands and influencers to carry out marketing campaigns to attract followers to the brand’s stand or to simply raise brand awareness. Before taking a look at a specific brand and the results of their MBMFW campaign, let’s examine the impact of the publications with the event hashtag. More than 40,5000 Instagram posts can be found by searching for #mbfwmadrid. One brand that was particularly present during the event (and on Instagram) was Font Vella. The Mercedes-Benz Madrid Fashion Week proved to be the perfect time and place to present their latest product, Font Vella Té. During the event, they executed several campaign actions with influencers and fashion designer María Escoté on their Instagram account (@fontvellate). They capitalized on their brand image and its most characteristic symbol, a mandala, and created a campaign with the hashtag #MandalizaTE (a play on the words mandala, you and tea which, unfortunately, doesn’t translate well into English!). They also raffled off mandalas designed by María Escoté and created another campaign hashtag, #MandalizaTEconEscoTE (another play on words, this time with the designer’s surname). The influencers who collaborated with Font Vella, such as @lulandco, @melissavillarreal and @tuttimarquez, uploaded stories and posts on their Instagram profiles to promote Font Vella’s new product, the ticket raffle for a runway show and the mandalas designed by María Escoté. They encouraged their followers to participate in the draws, follow the brand’s official account on Instagram and pop by their stand at the event. If we analyse the highest performing posts by influencers from the Font Vella Té campaign, we can see that the campaign produced great results. Let’s take a closer look at the data. Results from the combination of 4 publications by Melissa Villarreal, Tutti Marquez, Lucía and Adriana Gatagan. The combination of the highest performing publications achieved a total earned media of $2,238.38, reached 357,200 people and had an engagement rate of 3.3%, a positive result, but with room for improvement. 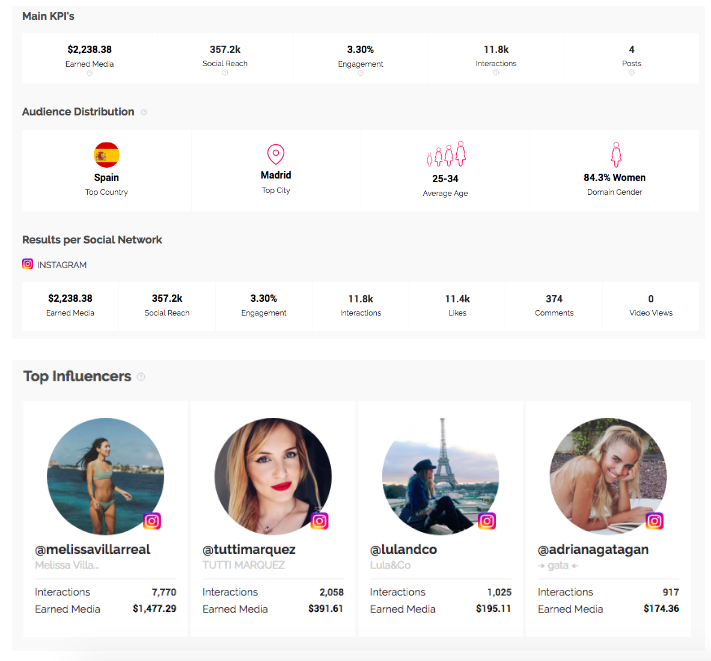 By using Influencity’s software, brands can see campaign results and analyse whether or not they were positive, just like Font Vella did with their campaign. It’s a very useful tool for checking the effectiveness of a campaign, drawing conclusions and tweaking strategies for future campaigns. 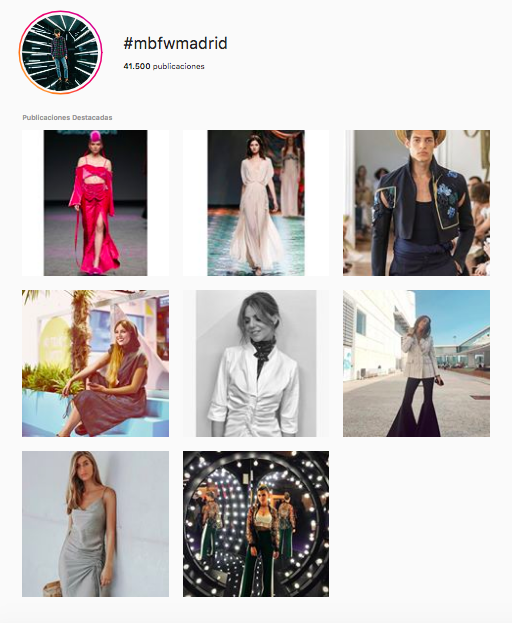 Font Vella’s influencer marketing campaign launched during the Mercedes-Benz Madrid Fashion Week shows us that a fashion event can be the perfect place to carry out marketing actions with the help of influencers in order to impact the desired target audience and achieve campaign objectives.